Last pictures from Sridevi’s ‘Asthi Visarjan’ will make your heart cry! We are still trying to get over Sridevi’s sudden demise. More than 10 days have passed since veteran actress Sridevi left us forever. Through her years in the Indian cinema, she gave us some amazing performances that will stay back with us for a lifetime. All the last rites have been performed and the Kapoors are having a tough time these days. They are still trying to cope with this loss. Yesterday, Sridevi’s husband Boney Kapoor traveled to Haridwar to immerse Sridevi’s ashes at Ganga. Anil Kapoor was also spotted along with brother Boney Kapoor on their way to Haridwar. Sridevi’s close friend Manish Malhotra also joined them to Haridwar. 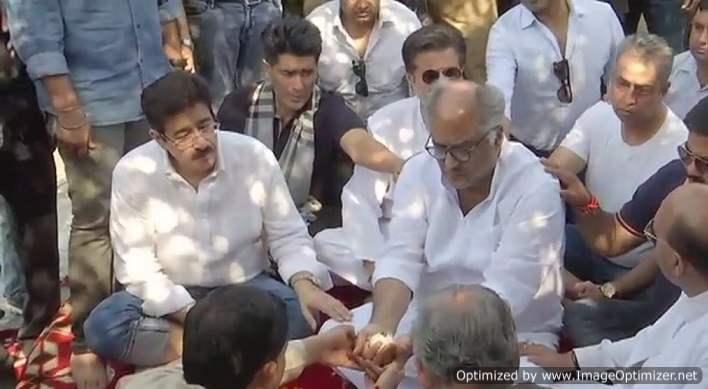 Amar Singh was also part of the last rites. Sridevi’s ashes were immersed in Haridwar at VIP Ghat. 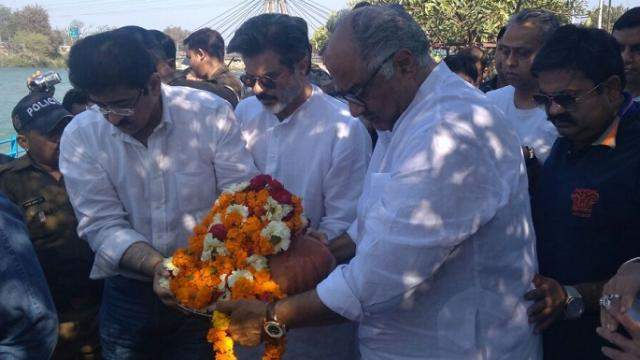 While Boney Kapoor performed the last puja, pictures of him started doing rounds over the net.